Three UNC Lineberger members – Lisa Carey, MD, medical director of the UNC Breast Center, division chief of hematology and oncology at the UNC School of Medicine, and physician-in-chief of the N.C. Cancer Hospital, Matt Ewend, MD, Van L. Weatherspoon Jr. 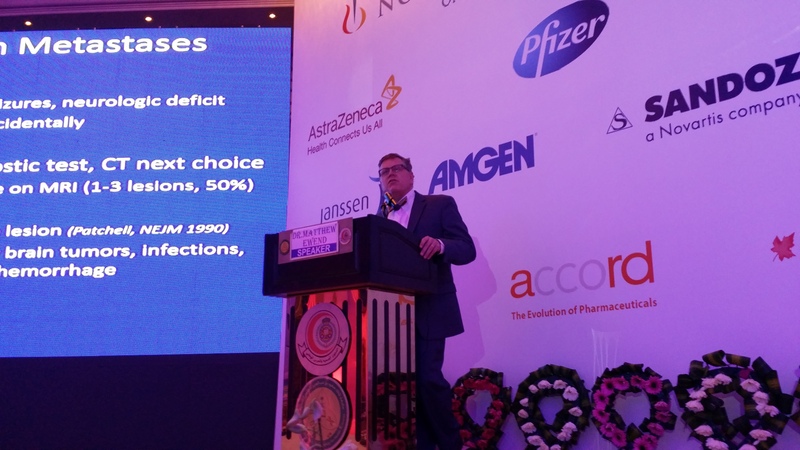 Distinguished Professor of Neurosurgery and chair of the UNC Department of Neurosurgery, and Chuck Perou, PhD, professor of genetics and pathology – served as speakers at the 6th Annual Princess Noorah Oncology Center International Breast Cancer Conference held in Jeddah. Dr. Matt Ewend provides opening remarks at the conference. 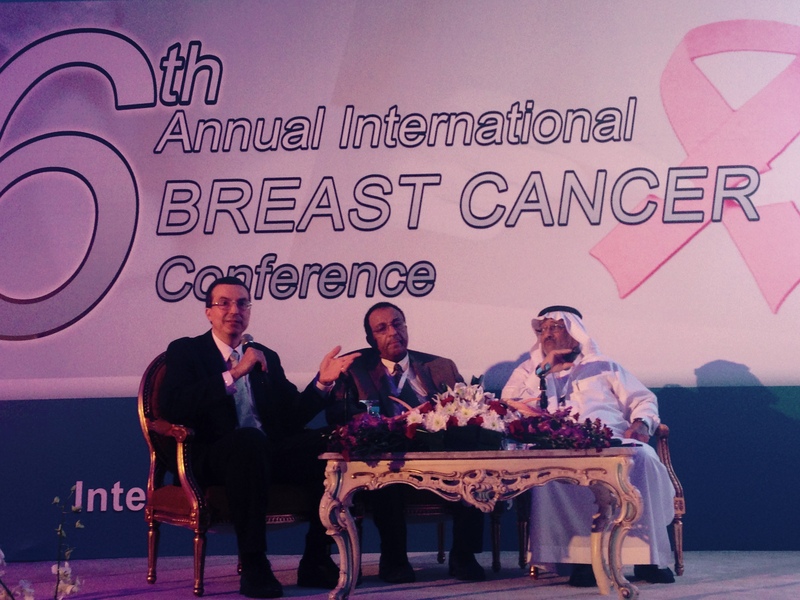 Hosted by the Kingdom of Saudi Arabia Ministry of National Guard Health Affairs, the conference is held annually in support of breast cancer awareness month to promote health education be providing details on standard of care in the management of different stages of breast cancer.